In the spring of 1992, I lectured at the Instituto Superior Tecnico (ISP), in Lisbon, Portugal, invited by my friend and colleague Miguel Coutinho, who teaches hydraulics at that university. One afternoon, I had coffee with Emidio Santos, a former student of mine during my days at Colorado State University in the late seventies. Emidio teaches hydrology at the ISP. "Emidio, what do you think about my book?" To which he responded, after some thought: "It is a fine book, but it is more hydraulics than hydrology." 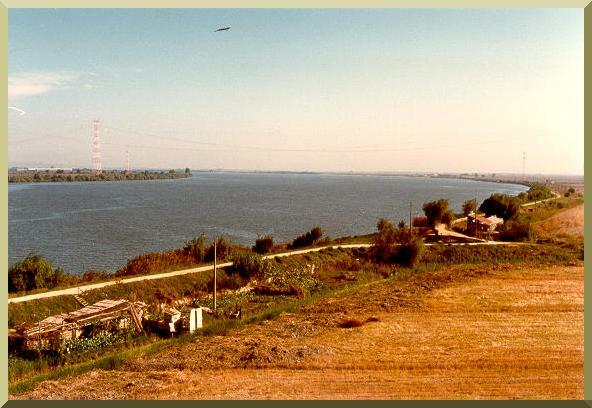 The river Tagus, at Villa Franca, Portugal.